Barter Books : Bannerman, David Armitage; Lodge, George F [illus.] 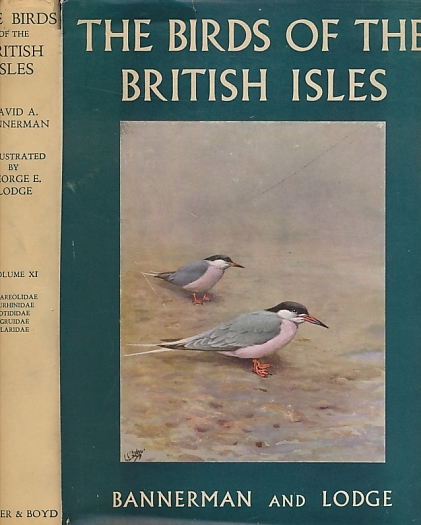 : The Birds of the British Isles. Volume 11. Glareolidae; Burhinidae; Otididae; Gruidae; Laridae. 270 x 190 mm (11 x 7 inches) - xv, 368pp + plates. VG : in Very good condition with edge-chipped dust jacket.